TORONTO, ON – Muddy York Brewing has announced the release of a new beer featuring branding that breaks from the brewery’s usual historical Toronto themes to present a more current political message. We recognize that not all of our customers share our political viewpoint. Our aim here is to open civilized dialog and support those members of the community who need all the help they can get. 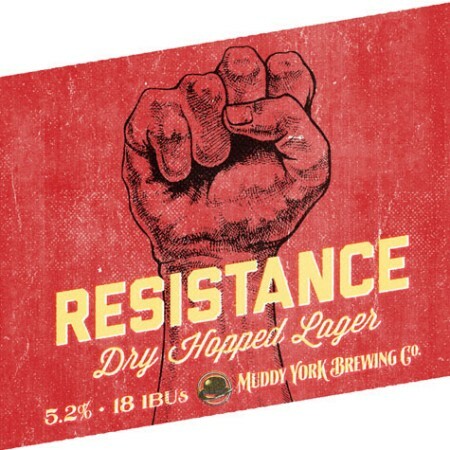 Resistance Dry Hopped Lager is available now in the Muddy York taproom and retail store.